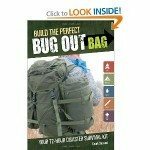 An important consideration when assembling your bug out bag is how it should be organized. There are two elements at work here–containers and packing order. The only thing worse than just tossing everything into a sack without forethought is not packing the bag at all. 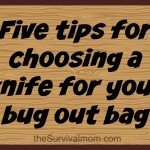 It makes little sense to go to all the trouble and expense of putting together a bug out bag if you can’t find what you need when you need it. 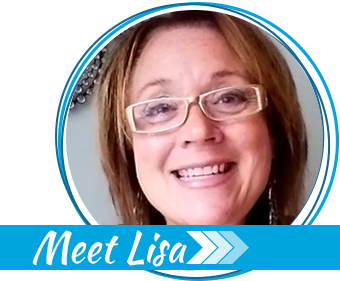 One of my preferred methods for packing items is to use small containers to keep like things together and organized. Often, this involves simply using ziploc plastic bags. One bag contains my Altoids Tin Alcohol Stove and fuel, another has food items. I don’t go to the trouble of labeling these bags because, well, they’re clear so it isn’t a mystery as to what’s inside. Using these bags also keeps the contents from getting wet. Though they can be pricey, I also like using hard plastic cases, such as those made by Pelican. These types of cases are available in a wide range of sizes and colors and work very well at keeping your gear both dry and protected from being crushed. I use one such case for my primary fire starting kit. Another product I dearly love and heartily endorse is the Grid-It Organizer. It consists of a hard, flat board of sorts covered with a mesh of elastic bands of varying lengths. 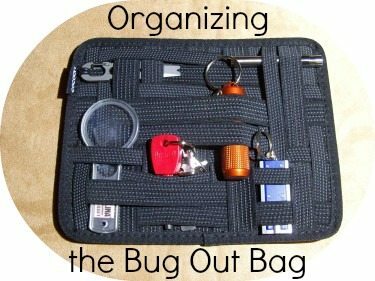 This is a truly awesome solution for organizing little odds and ends in your bag, keeping them secure and within easy reach. Many backpacks today are equipped with a flat pocket for use with tablets or small laptops. Those pockets are great places for a Grid-It Organizer. Whatever tools you decide to use for organizing your gear, the overall idea here is to keep things from just floating around in your pack. You want to know where everything is so you can find it easily, even under stress. This, of course, leads us to packing order. 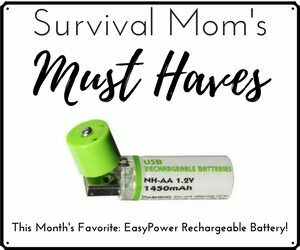 Give some serious thought as to which items in your pack you’ll likely use most often and items that you’ll need first when stopping for the night. These are the things you’re going to want readily available, either in side pockets or at the top of your pack. 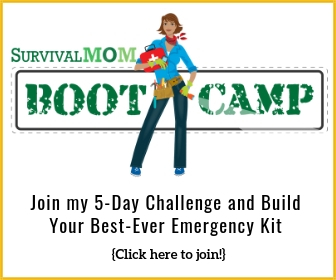 You shouldn’t have to dump out your entire pack just to get to your first aid kit. Your fire starting gear, too, should be easy to access. Now, that said, it is best to keep the heaviest items close to your spine and/or towards the top of the pack. Keep those items centered as best you can, so as to not adversely affect your center of gravity. If you keep the heavy stuff too low in the pack, it will feel like the pack sags. Too high and you’ll feel off balance. 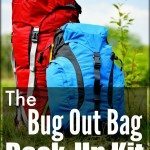 Ideally, if packed correctly, the bug out bag will feel balanced and stable. 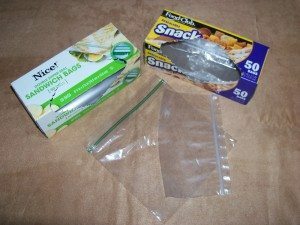 Heavy-duty ziploc freezer bags have been my go-to organizers for a long time now. Available at my local Wal-Mart in pint, quart, 1-gallon, and 2-gallon sizes, they’ll hold just about anything I want to pack, including clothes. With careful folding, I was even able to fit a heavy wool blanket inside one of the largest ones. The last thing I want to worry about in an emergency is discovering that everything got soaked in a downpour or that a single leaky bottle ruined everything around it. Many of the bags consist of a series of smaller (and frequently lighter-weight bags) that hold related items. 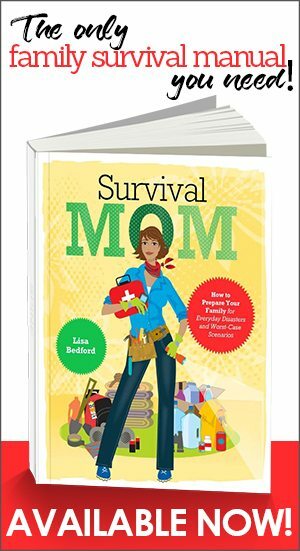 Like the article says, you can see at a glance what’s inside, and by organizing this way you only need to grab one bag for everything that’s needed for that situation rather than digging through umpteen pockets.